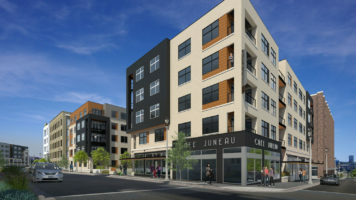 The Davis Companies and Milhaus Break Ground on Vim + Vigor Apartment Development in Milwaukee, W.I. Westport, C.T. – June 19, 2017 – The Davis Companies (TDC) today announced that Coastal Orthopedics, a member of OrthoConnecticut, a leading orthopedic group dedicated to developing both surgical and nonsurgical solutions to address problems related to musculoskeletal diseases, has signed a lease to occupy an entire floor at the Westport Center for Health. The Westport Center for Health is a 38,000-square-foot, Class-A medical office campus that provides a broad array of medical services to Fairfield County. Located at 321-329 Riverside Avenue in Westport, C.T., the property is directly off I-95, less than one mile from downtown Westport, and offers serene outdoor spaces with sweeping views of the Saugatuck River. It also includes ample parking with a ratio of six per 1,000, including 77 garage spaces, for patients and staff. The Westport Center for Health represents the largest collection of medical providers in Westport, C.T., which TDC transformed from a group of underutilized buildings into a highly regarded medical campus now home to Westport Dermatology & Laser Center, Westport Dental Associates, Village Pediatrics, Professional Physical Therapy and Women’s Health Connecticut. TDC transformed the property into a state-of-the-art campus, investing in substantial capital improvements that included: upgrades to the building’s landscaping, parking areas, roofs and exterior facades; an improved signage program and renovated lobbies. Avison Young’s Sean McDonnell represented TDC in the transaction; Jeff Gage and Tom Pajolek of CBRE represented Coastal Orthopedics. TDC is well-known for its successful repositioning and renovation projects throughout the Eastern U.S. The company repositioned Charles River Plaza, which sits immediately adjacent to one of the nation’s top hospitals – Massachusetts General Hospital – into the mixed-use center it is today. TDC has also reimagined multiple office parks into vibrant business destinations throughout the Eastern U.S. 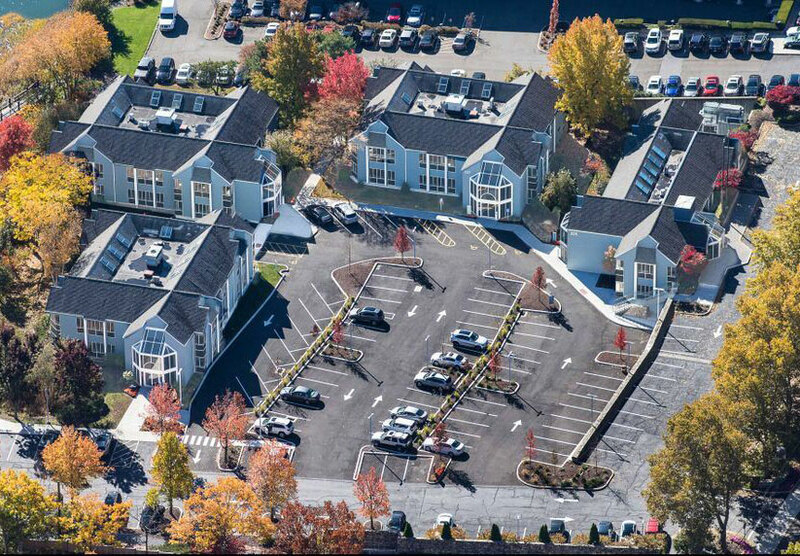 The Center at Corporate Drive and 67 South Bedford Street, both in Burlington, MA; and the Union Trust Building in Pittsburgh, PA, are a few examples of the close to 100 repositioning projects that TDC has completed in its 41- year history. Committed to excellence in both investment performance and operations, The Davis Companies is an integrated real estate investment, development and management firm headquartered in Boston that has invested more than $4 billion in gross asset value through real estate equity, debt and fixed-income securities. A unique combination of capital markets, development and management expertise allows The Davis Companies to nimbly tackle complex and contrarian opportunities. The Davis Companies has acquired and developed over 7,000 multifamily units throughout the Eastern U.S. Directly, and with its valued partners, The Davis Companies currently owns a real estate portfolio of approximately 12 million square feet across the Eastern United States. Coastal Orthopedics is a leading orthopedic practice dedicated to the highest quality, patient-centered care and the promotion of medical excellence in the community. . The practice has been providing outstanding and compassionate care to patients in lower Fairfield County since 1963 and has maintained an office in Westport since 1994 at the Willows Medical Center (known as “Fort Apache”). They also have offices conveniently located in Norwalk and Darien. In 2015, Coastal Orthopedics joined with Danbury Orthopedics and New Milford Orthopedics under the name of “OrthoConnecticut.” The merger allows the combined groups to serve a wider geographic region with access to world-class care, in state of the art facilities that are close to home. . Their physician- owned practice model puts the patient first and represents an integrated group of orthopedists who will remain independent and provide their own high quality, lower cost care to their patients.